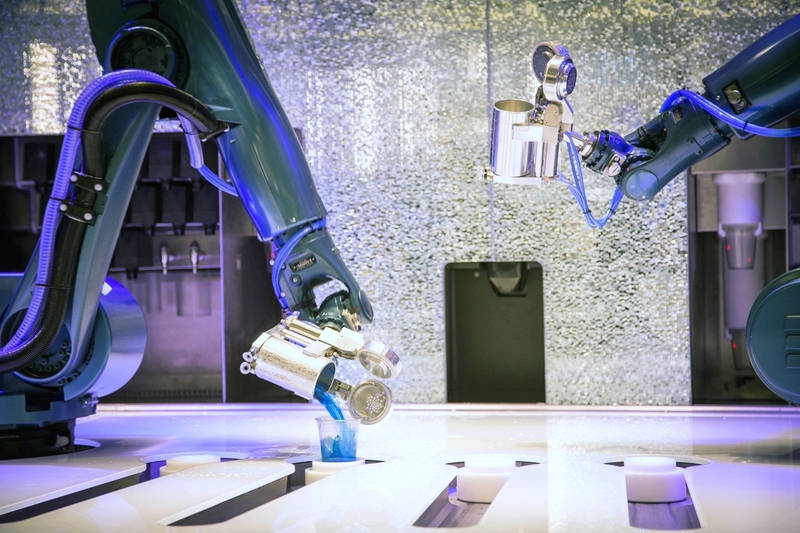 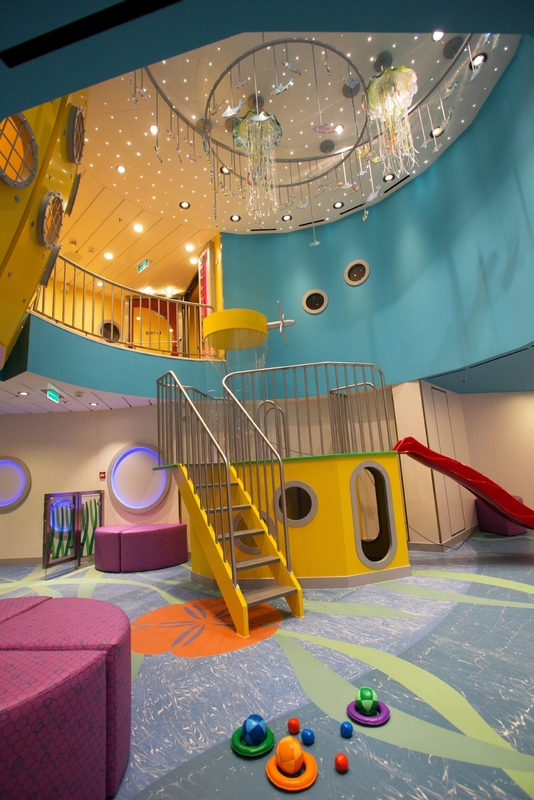 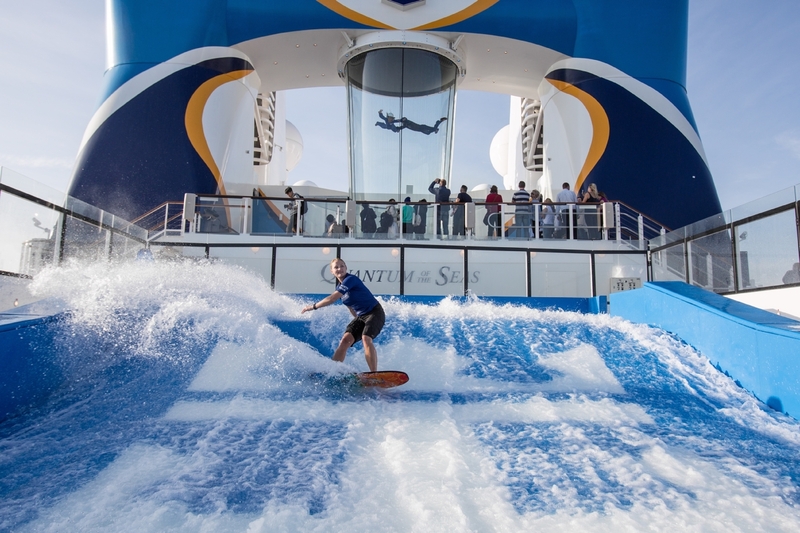 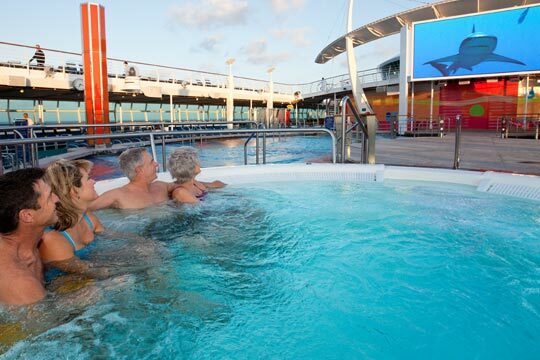 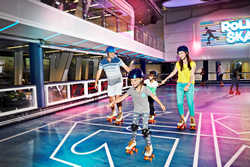 Royal Caribbean is at it again with their latest cruise ship innovation, the Quantum of the Seas. 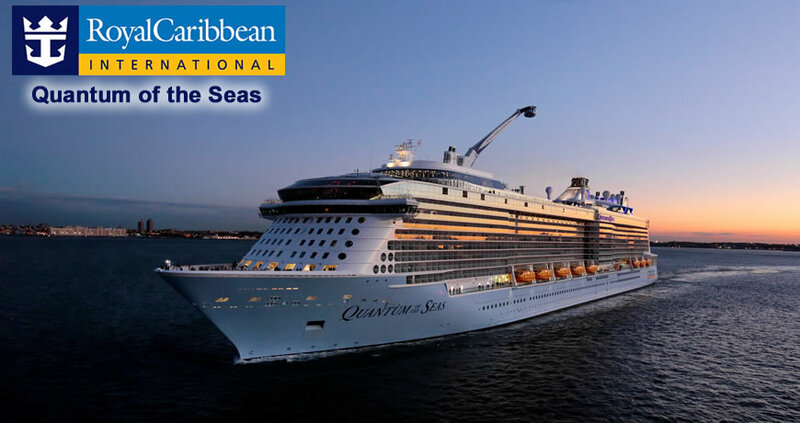 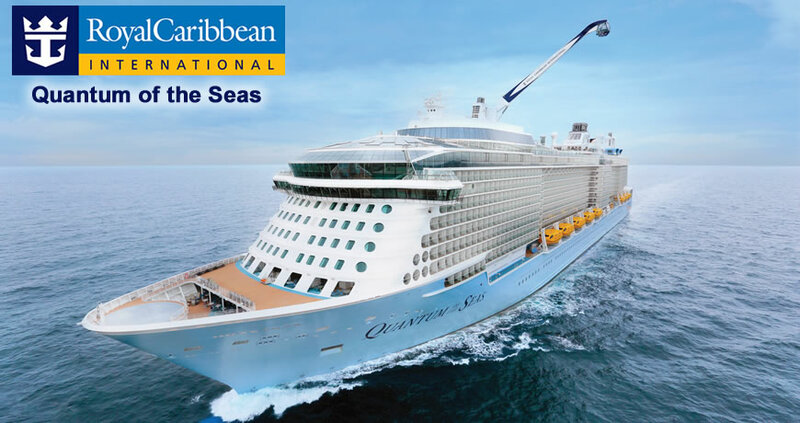 The Quantum of the Seas will begin sailing November 2014 round-trip from Cape Liberty (Bayonne), NJ and offer a variety of 7 to 12-night Bahamas, Bermuda and Caribbean cruises. 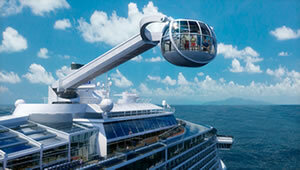 Specific ports of call have not been confirmed yet. 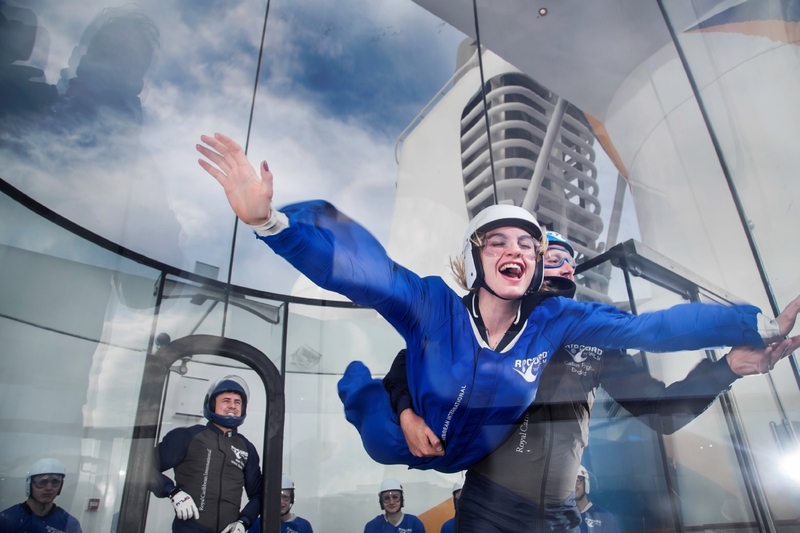 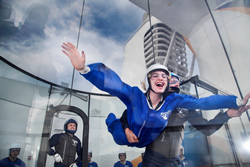 RipCord by IFly: Soar through the air like a professional skydiver in the first ever sky diving simulator at sea. 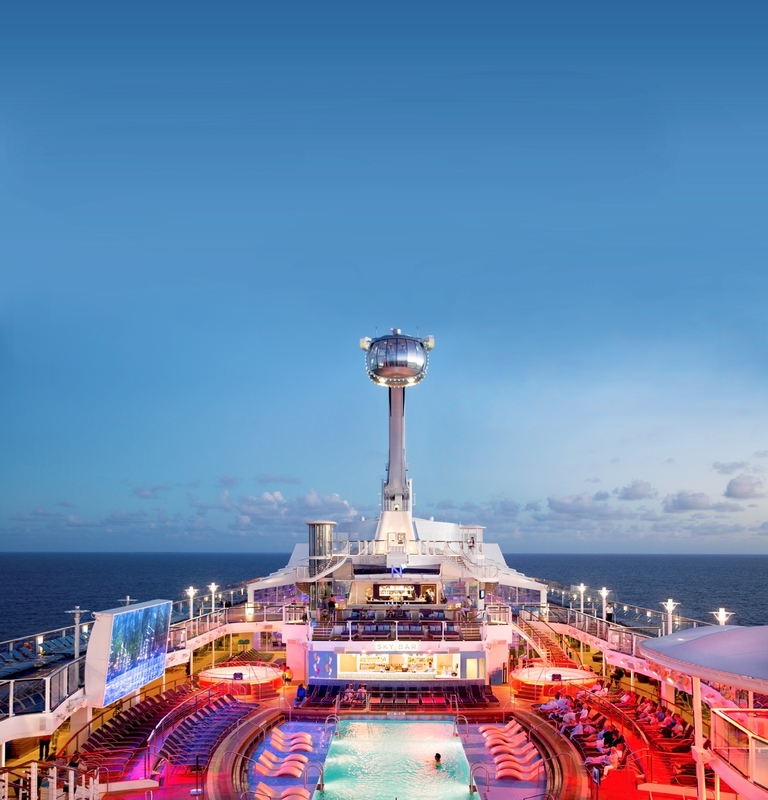 The North Star: There is no doubt that the North Star will provide the best view ever seen on a cruise ship. 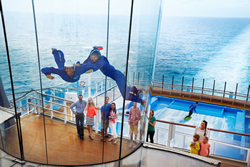 Up to 14 guests may enter the giant glass sphere and then hang on as you are slowly elevated approximately 300 feet above the ocean. 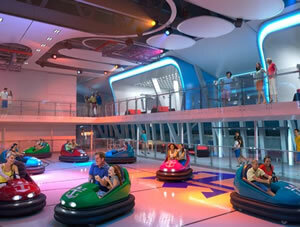 SeaPlex: The SeaPlex is the place to be for fun and games. 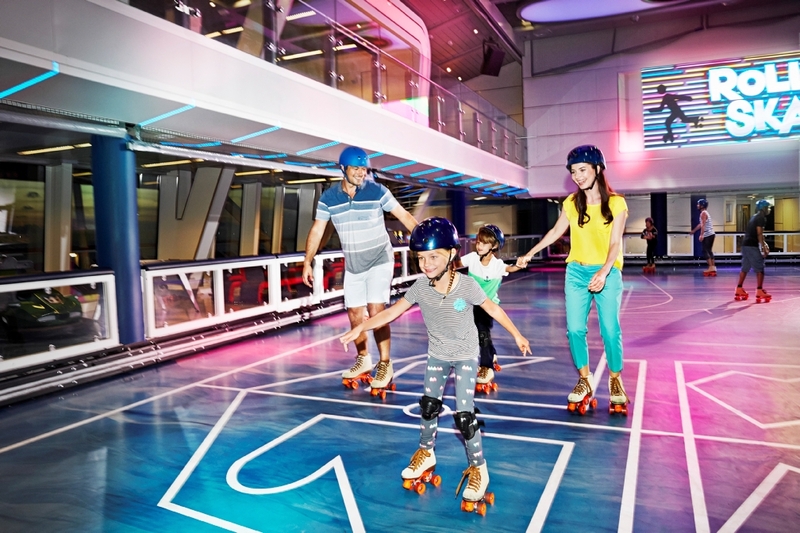 Basketball, table tennis, trapeze rings, roller skating, the Sea Plex has it all. 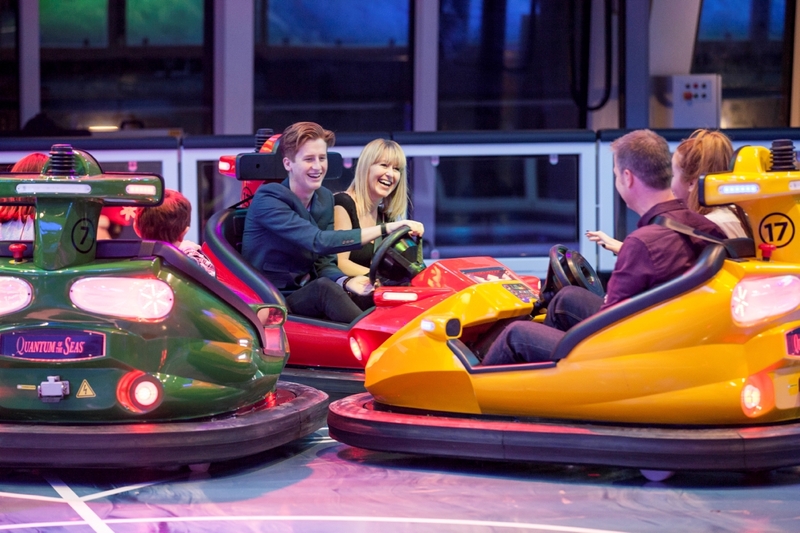 Oh and did we forget to mention Bumper Cars. 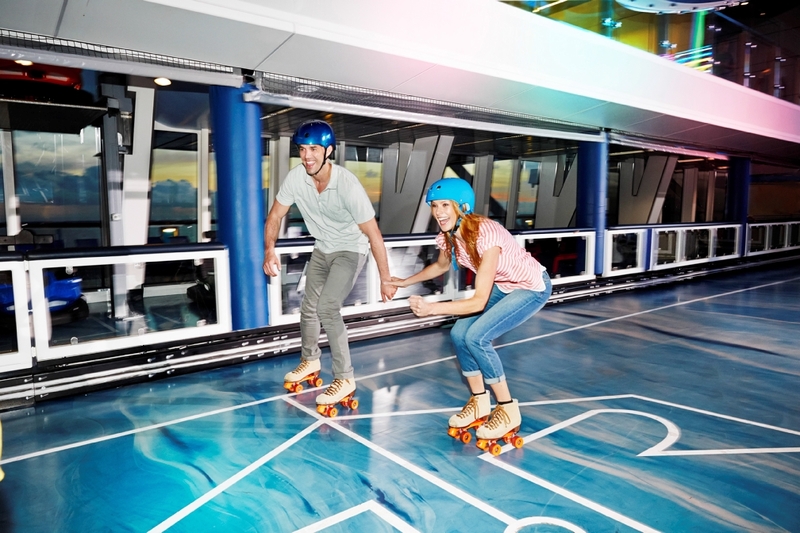 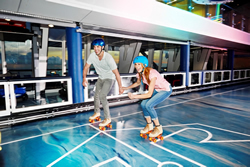 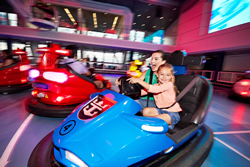 That’s right, the Quantum of the Seas is the first cruise ship ever to feature bumper cars. 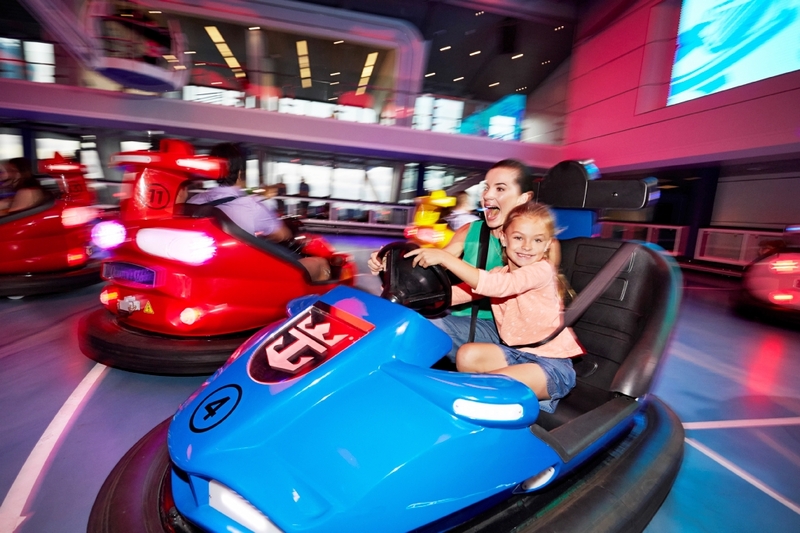 So fasten those seat belts, hit the gas and have some fun in the SeaPlex. Two 70: At day, the Two70 lounge provides guests with panoramic floor-to-ceiling windows perfect for viewing the ocean. At night, the lights dim, the music kicks in and the magic begins. 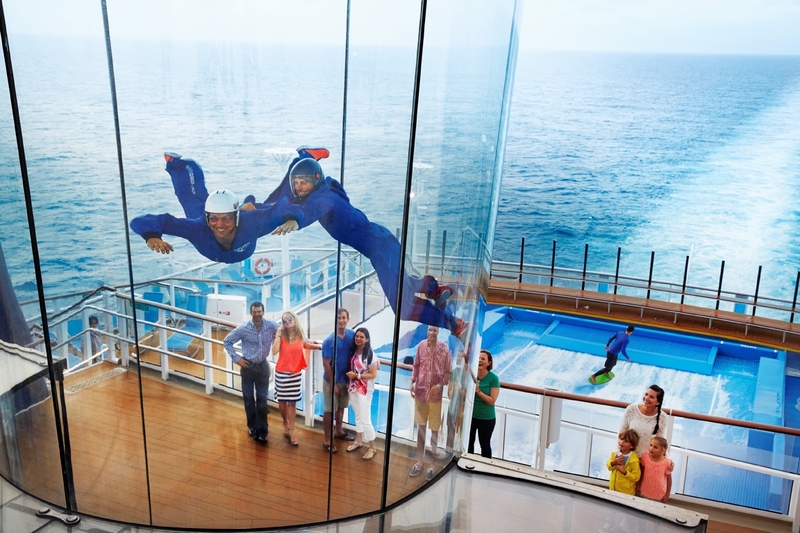 Guests can enjoy a refreshing cocktail at the ice bar while enjoying and incredible light and aerialist show. Music Hall: This is the perfect venue for the music enthusiast. 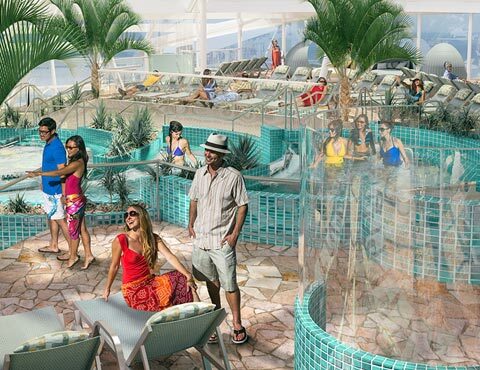 Passengers onboard the Quantum of the Seas can lounge out with a drink and listen to incredible live music or dance the night away as the DJ mixes the beats to your favorite tunes. 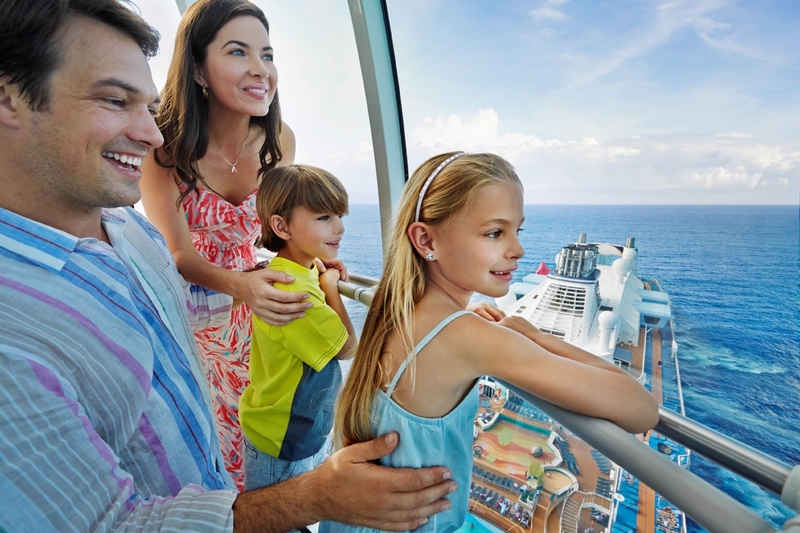 Virtual Balcony Staterooms: Now every stateroom onboard the Quantum of the Seas provides guests with a view. 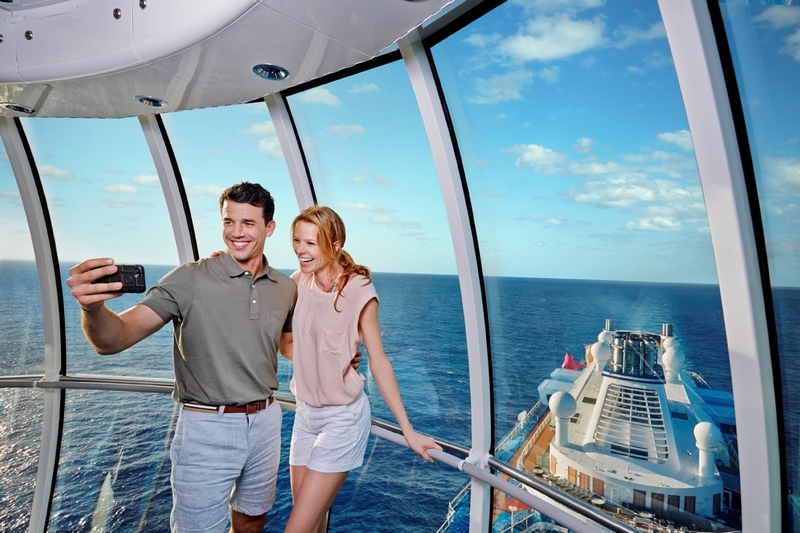 The cutting edge virtual balcony staterooms feature a real-time projection of the ocean all while being in the comfort of an interior stateroom. 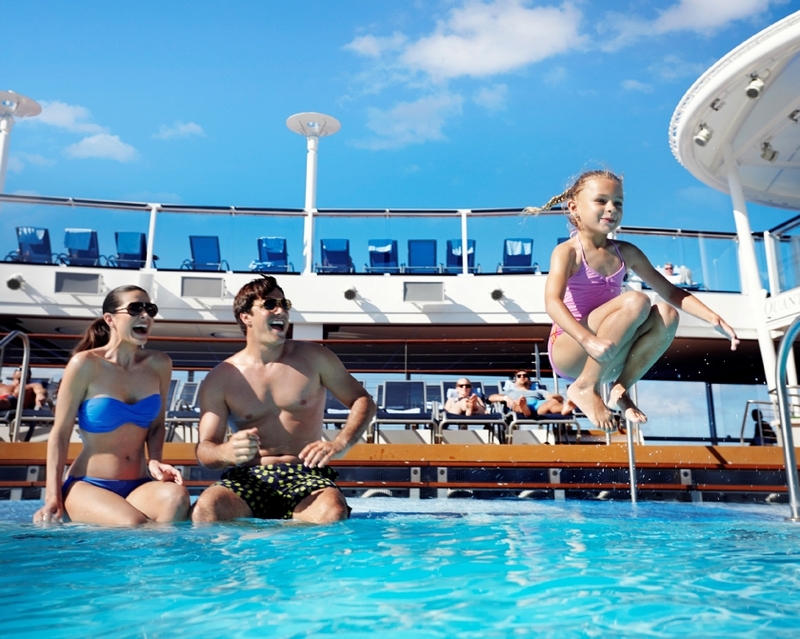 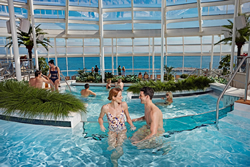 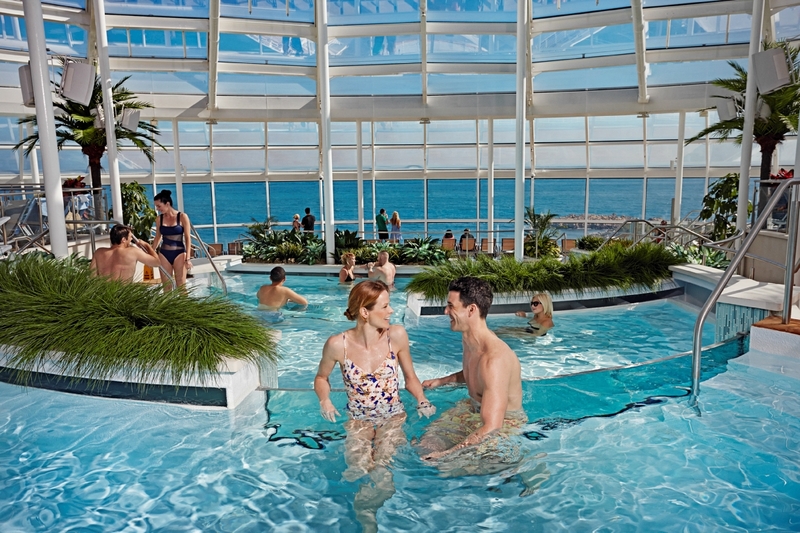 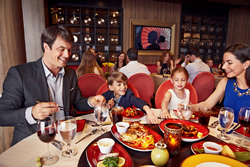 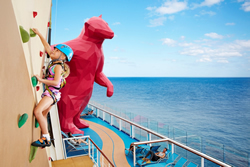 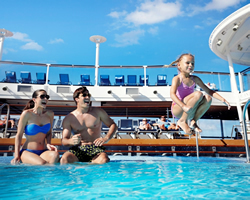 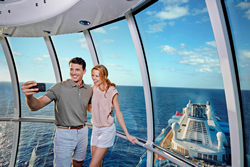 View our featured cruise deals and itineraries on the Royal Caribbean Quantum of the Seas. For more information on these cruise itineraries, click below or call Direct Line Cruises.